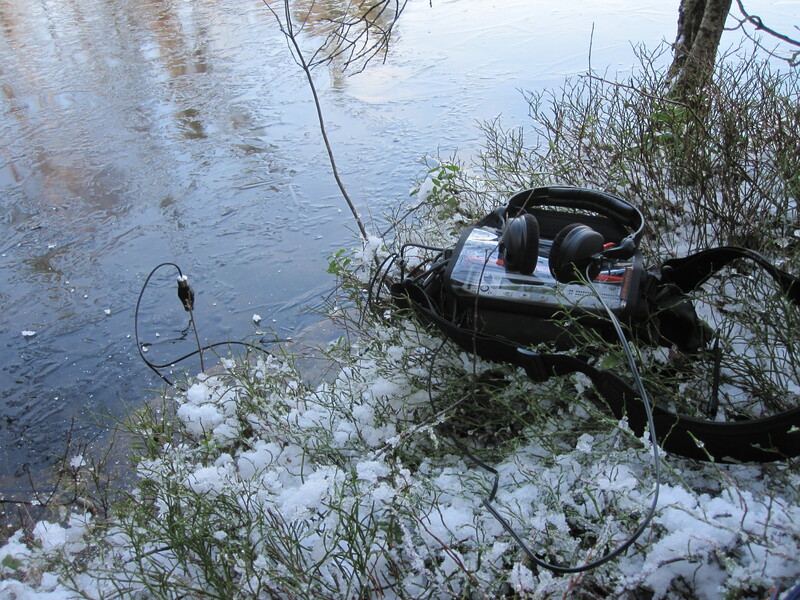 The sounds heard above are all recorded using a contact mic on the frozen lake just next to our cabin. The original recording is about one hour, the two and a half minutes above is the result of some rearranging, cut and paste and a load of fades. No effects were added, except some slight hiss reduction in post as I had to crank up the gain quite a lot while recording. There’s one layer of sound playing at a time. Even though there where extended moments of “silence” during the hour or so I recorded there where also some very lively minutes with cracks and lots of ray guns going off. Well done ! Very creative interpretation of ice. I just posted photos on the topic of ice formed fog and your post makes for an interesting comparison. i will pass this on to my son. Thank you elmediat, appreciate it. Where may I find those photos of yours? 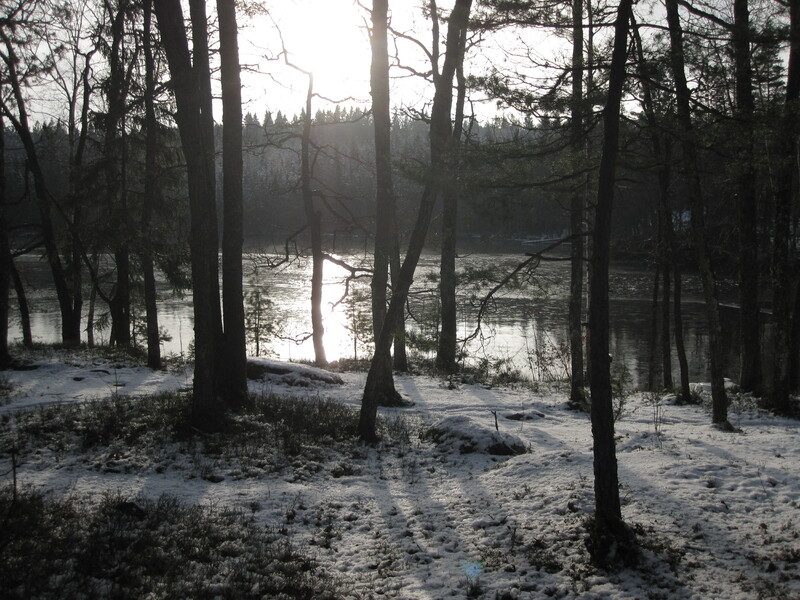 I really like these sounds – so very different from my soundscapes of bustling Paris. I think that’s what makes them so enjoyable for me. I always enjoy sounds of the natural world especially the sounds that you don’t usually hear. By the way, Chris Watson recorded many of the sounds on ‘Frozen Planet’ including those at the North and South Poles and the sounds of the glacier moving. Yes, I think it’s amazing that it’s possible to find sounds out in the nature that seems to be studio-created by some sound designer for a sci-fi movie. Ever since I started counsciously listening to the world ice have been one of those materials that never cease to surprise me. Ah, I see. A friend told me about his album El tren fantasma a couple of months ago, and I absolutely love it. En av dom häftigaste inspelningarna jag hört! Vatten är värkligen en av dom grymaste ljudkällorna, fruset som rinnande och den där Aquarian H2a e en fantastisk mikrofon! Ser värkligen fram emot att komma å hälsa på er i skogen snart! Japp, det är en trevlig liten manick. Vatten är helt klart fantastiskt att spela in, alla variationer som visade sig bara under timmen jag satt nere vid sjön. Ja, fint ni måste komma! En chans att leva det god hillbilly-livet för några dagar! Such alienesque sounds – without your photographs and text I wouldn’t have known what I was listening to. I’d love to hear more. Yes, it sounds like there’s a battalion of stormtroopers fighting their way through the ice. I have quite a lot of work to do the upcoming weeks but hopefully the cold weather will last longer than that. I’d really like to try to drill a hole in the ice and lower the hydrophone into the water to see if there’s any difference listening from that perspective. I also plan on giving it a go with a pair of regular mics some early morning soon to get the full stereo width. Even though we have got a real winter this year in Iceland, have I never got a change to record nice sounding ice like this. But this “contact mic adapter” is clever design. I will order this stuff some day.